Christoper Adams spoke once again at the Sunday morning and evening services in place of Pastor Adkins, who is on a well-deserved vacation. 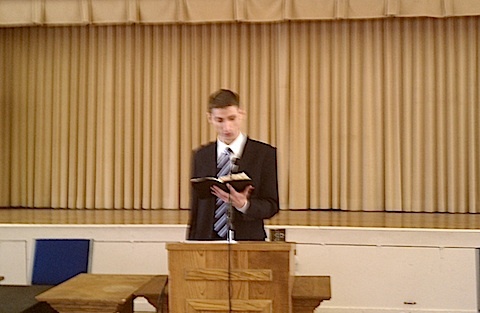 Christopher gave an overview of and lessons to be learned from Colossians. This entry was posted in Berean Church by bereanchurch. Bookmark the permalink.